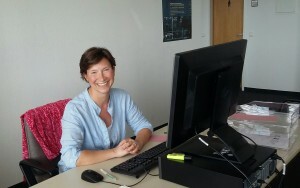 I am very happy to introduce a new team member of AcrossBorders: Stephanie Plank started today her new job as team assistant. Her responsibilities include providing administrative support to the PI, planning and scheduling team meetings and helping with communication and correspondence. First of all, Stephanie will be busy with the accounts and financial management, helping me to prepare financial reports to the ERCEA. We are all were thankful – financial and administrative tasks need much time and require special knowledge we as scientists cannot offer at a very high level! But first of all, we are happy to have found among more than 35 applicants a new team member who is not only interested in numbers, but also in the scientific aspects of the project and its international team! Looking much forward to a fruitful collaboration!